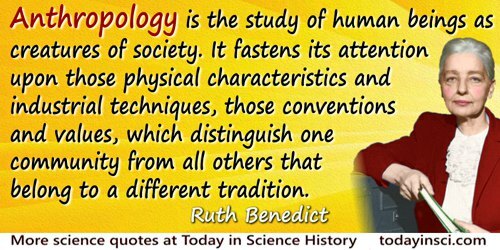 Anthropology is the study of human beings as creatures of society. It fastens its attention upon those physical characteristics and industrial techniques, those conventions and values, which distinguish one community from all others that belong to a different tradition. In 'The Science of Custom', Patterns of Culture (1934, 2005), 1. History is more or less bunk. It’s tradition. We want to live in the present and the only history that is worth a tinker’s damn is the history we make today. As quoted in interview by Charles Wheeler, Chicago Tribune (25 May 1916). 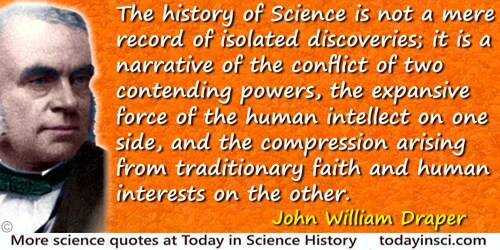 Often misquoted, and misunderstood out of context, as “History is bunk”. There is much important context needed to interpret what Ford really meant by it. 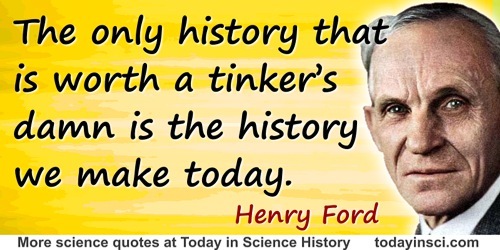 Articles have been written on that subject, for example, Roger Butterfield, 'Henry Ford, the Wayside Inn, and the Problem of “History Is Bunk”', Proceedings of the Massachusetts Historical Society (1965), 3rd Series, 77, 53-66. Teacher in America (1954), 16. They are the best physicians, who being great in learning most incline to the traditions of experience, or being distinguished in practice do not reflect the methods and generalities of art. The Advancement of Learning, Bk IV, Ch. II. The Archaeology of Knowledge (1969), trans. M. Sheridan Smith (1972), 144. Traditional scientific method has always been at the very best, 20-20 hindsight. It’s good for seeing where you’ve been. It’s good for testing the truth of what you think you know, but it can’t tell you where you ought to go. Zen and the Art of Motorcycle Maintenance (1974), 251. The Homiletic Review, Vol. 83-84 (1922), Vol. 83, 208.